Hunger Games! Percy Jackson! Harry Potter!. . 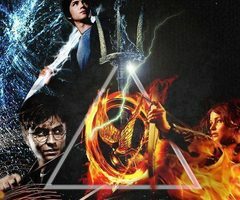 Wallpaper and background images in the Hunger Games club tagged: photo. Ahhhhhhhhh! I love it has all of my favorite move series!